I'm not a fan of the sun. I don't prefer tanning either. My skin burns easily. If I spend time under the sun, my skin turns red in a few minutes and begins to ache. I learnt this the hard way when I was a kid...I was minding my own business playing on the beach. So, you won't be wrong when you say I have a few anti-sun products like sunscreens. While sunscreens don't provide you with 100% protection (be sensible, use a hat for example to protect your hair, neck and ears from being sunburnt), they do help in minimizing the damage caused by the sun's rays. 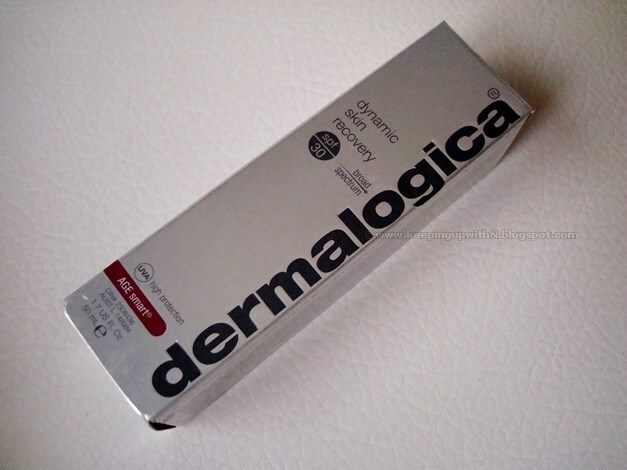 To help combat the horrid effects of the sun (premature wrinkling is one of them), your armor is Dermalogica's Dynamic Skin Recovery moisturizer. 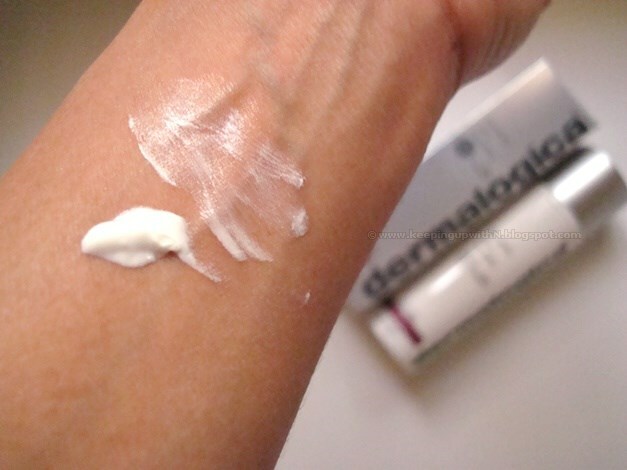 I've grown to like Dermalogica products (Bedtime for Breakouts is THE best product ever to zap that pesky zit off your face) and this moisturizer has become a must have for a number of reasons. 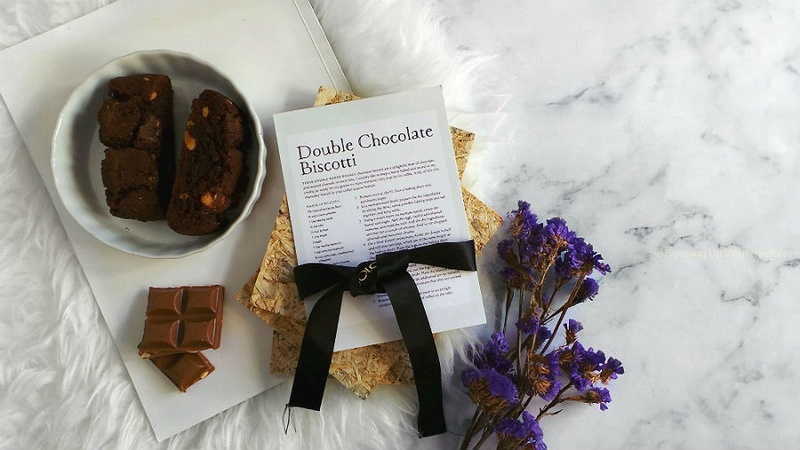 It is packed with SPF 30- a must have in Dubai's scorching unforgiving heat. It also doubles up as an anti-aging moisturizer. If you spend time in the sun, you might as well use an anti-aging skincare product. 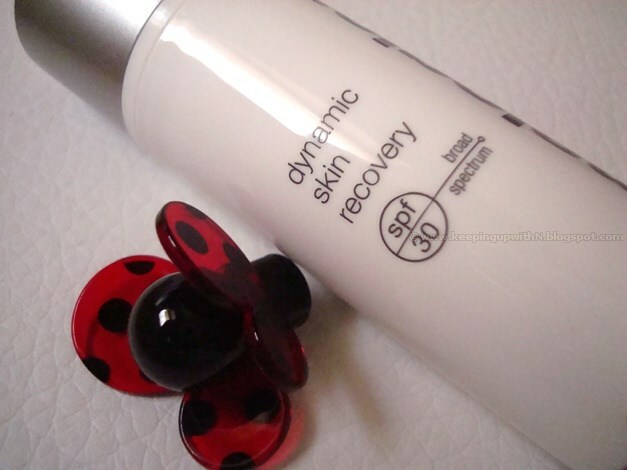 Dynamic Skin Recovery helps fight free radicals, signs of aging and stimulates collagen synthesis. For those who are unaware, collagen is a protein found naturally in skin; with age, the production of collagen declines and hence leads to wrinkles and saggy skin. 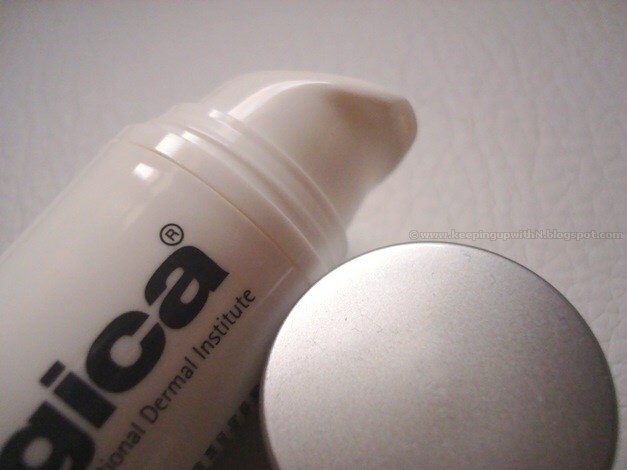 The fragrance free moisturizer is light-weight and immediately absorbed by the skin. Don't make the mistake I did- I actually slathered quite a bit when I first tried it and my skin was a bit on the damp/sticky side. The bottle pumps out enough for the entire face, you don't need three to four pumps of it. I apply it after cleansing in the morning. I have normal to dry skin so I don't have issues with a shiny T-zone. If you are looking for an ideal moisturizer with added benefits for the summer season, try this out. 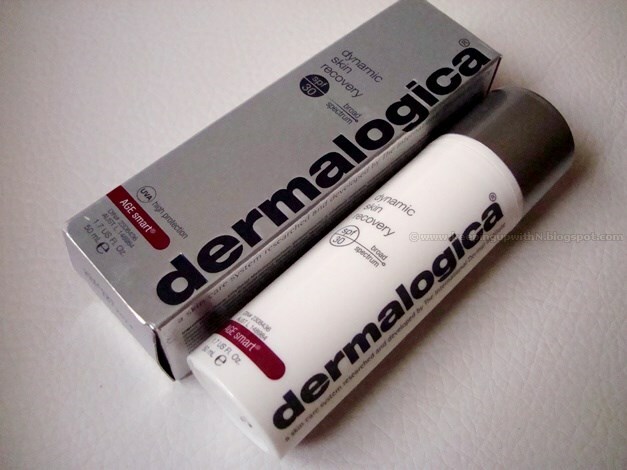 Dynamic Skin Recovery SPF 30 is available at outlets selling Dermalogica. Hi, where can I get this product in Dubai? Hi. You'll get it at the Dubai Mall store.